Listen to your head or listen to your heart? Which of these descriptions sounds like someone that would be your arch-nemesis? Which of these descriptions sounds like someone you would be best friends with? Wise, fearless and a great leader. Hardworking, caring and a good mentor. Brave, has an iron will and is incredibly determined. What life lesson could people learn from your life? Use your talents for good and you'll make the world that much better. Be brave and answer to no one but yourself. Peace is the path to victory, and the path to peace is truth. Leadership is a gift, so use it to lead others to victory. Life is short, so live it to its fullest. Use the bad things in your past to do good in the present. You are a just and fair person with black and white views on morality. You use logic frequently in your life, whether it be to make important decisions or to make sure everything is fair. You are also a very stubborn person. This can lead you tend to not let go of the past. This can cause you to either learn from it, or use it as an excuse for vengeance. Either way, you always make sure that in the end, justice is served. You are a compassionate and selfless individual who thrives off of bringing hope to others. Your main focus is to bring peace to everyone, no matter who they are or what they've done. This usually inspires hope in others to be as amazing as you. However, you tend to lose your temper against people who use fear and control to their advantage, and when you lose your temper, things get messy. However, in the end, you are still a beacon of hope to all. You are an honest person that hates anyone that lies or cheats to get what they want. You tend to listen to your heart, thus leading you to be very truthful. You are also a very aggressive person, though. This combination can lead you to be brutally honest to the point where you can be incredibly hurtful whenever you speak your mind. On the opposite end of the spectrum, your honesty can cause others to feel extra appreciated whenever you compliment them. You are a humorous person who loves to make people laugh. You're very kind to your friends and are the glue that keeps your friend group together. Apart from being funny, you are also a balanced individual that knows when to listen to their gut and when to listen to their head. Though you are funny, you can be quite shy. In fact, you can actually be very passive. This passiveness usually comes from what you find most important: freedom. You are a fiercely determined and brave person who respects courage. Your strength comes from your constant determination to overcome everything and the willpower to overcome it. However, you can become too competitive to the point where you become too focused on the problem that you can't even solve it any more. However, you always find away to overcome any problem. You are a logical, intelligent and independent person. You have the skill and mind to become leader, and when you have the confidence, you do. But more often then not, your shyness get in the way of you leading others to victory. You can also be very emotionally distant from others, and can sometimes hurt people because of it. However, your leadership abilities allow you to always come out on top. You're not close enough to any of the Justice League members to say that you are one of them. 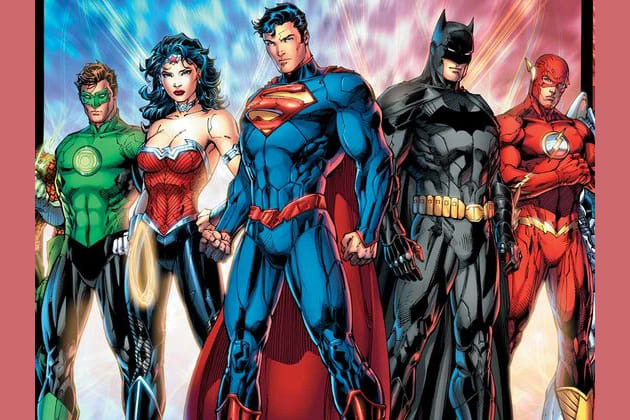 The Justice League is a well-known team of superheroes throughout the world. They represent the best in humanity: truth, justice, hope and many other great things. But which hero would you be?